We’ll be going over what you can do to get started with promoting your Behance page, how to get more followers and what you can do to increase your chances of getting featured on any of the galleries on Behance. It doesn’t matter if you just started your page or if you had it for years, anyone can start doing these things to promote their Behance page right away. 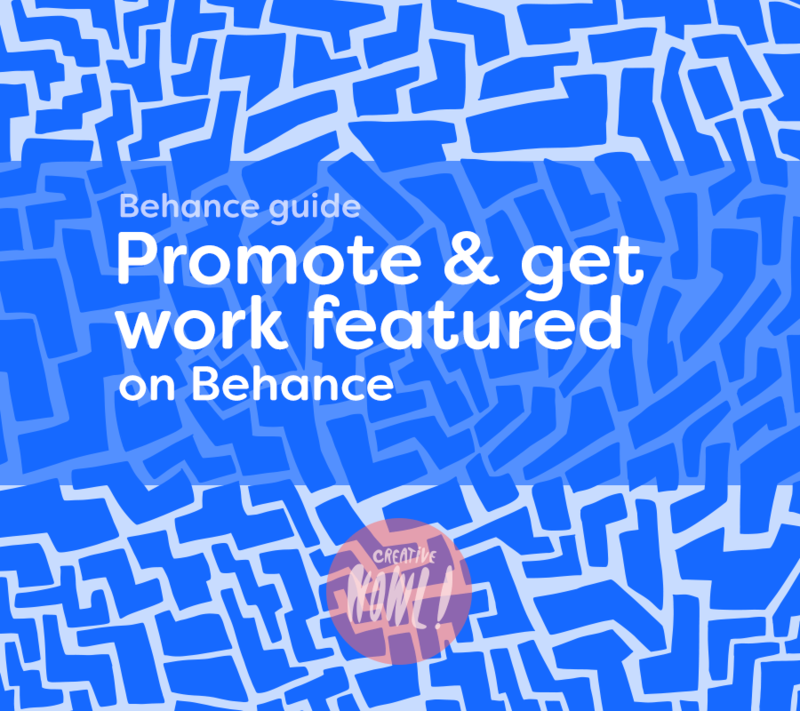 Getting featured is one of the best ways to get exposure for your work on Behance and in this part of the guide I’ll talk about a few things you can do to increase your chances to be featured. 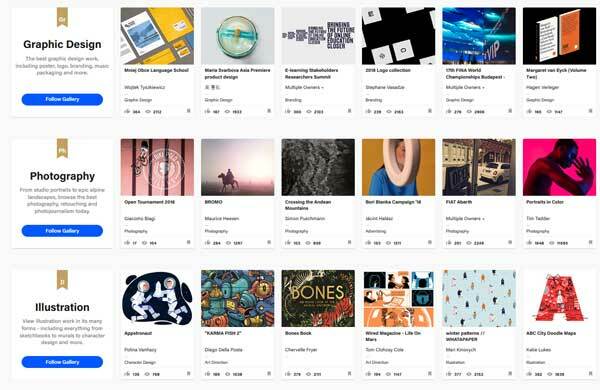 There’s curated galleries for many of Adobe’s creative tools & apps (Photoshop, Illustrator, Indesign & more) where the staff of Behance curate and feature work that uses those tools. For a chanced to have your work shown here make sure to tag it with every tool that you used when making it. You do that in the Project settings when creating a new project on Behance. Some galleries will be easier then others to get featured in, I notice that there’s easier to get feature in galleries for less popular software where there’s less competition, I been featured in the Adobe Draw (their drawing app for tablets) in the past, there’s not that many using that app compared to big apps like Photoshop & Illustrator, make sure to tag everything, especially if it’s a lesser used tool from Adobe. Tagging your projects is another way to get noticed by Behance curators. You can pick up to 3 creative fields, some of them have curated galleries dedicated to them, if it fits your project choose at least one field that also have a gallery. 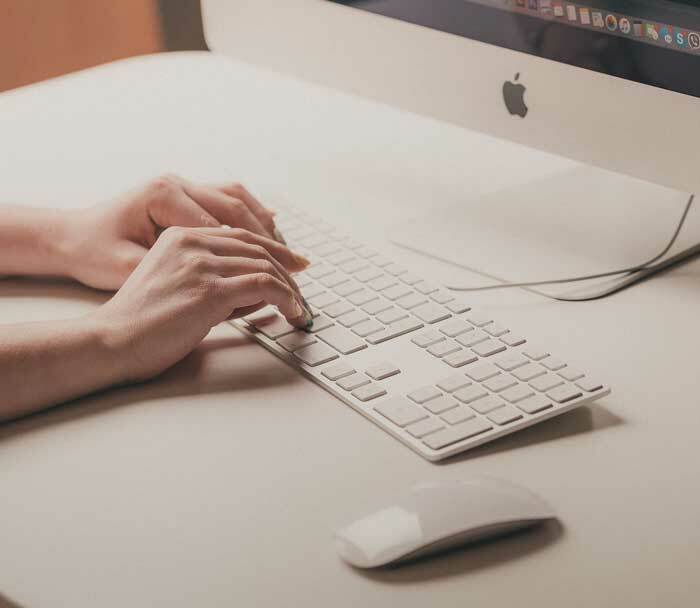 You also get up to 10 keywords that you can tag your work with, it’s hard to know how much help these keywords do when it comes to discoverability for your work, but it doesn’t hurt picking 10 relevant keywords for your work. Get in contact with the Behance curator team and tell them about a interesting project of yours. I’d suggest you check out other project that been featured in the past and study them to see what they did, get a understanding what the curator team might be looking for. And then take some time and craft your presentation & projects before sending it to them, being prepared will increase your chances greatly. The mail listed below is to the curator team on Behance. Another important aspect of getting your work featured on Behance is your work’s presentation. There’s no secret that Behance prefer to feature longer projects and projects that put some extra work in their presentation. If your project only have one image I’d suggest you add at least a few more images, this can be work in progress images, a detail from your work that you zoomed in on, your work in another context (print out your work, a website how it looks like online, etc) or something ells you’d think would be interesting for your viewers. Let me start off by saying Do not spam! I get so many comments on Behance just saying ”Nice!” or ”cool”, it’s clear to me that most of those generic comments are just spam. Spamming might give you some attention from a few people who get curious who the person behind the commented, but it won’t lead to any signifiant growth or add any value to anything. Instead start commenting meaningful comments about work and artists that you appreciate, you can even use comments and messages to ask questions and learn new things, you can ask how a artist/designer done certain things or what their inspiration/thought process looked like for their work, just don’t ask too much out of people, be polite and respect that people might just a have a few minutes (at most) to answer your questions. 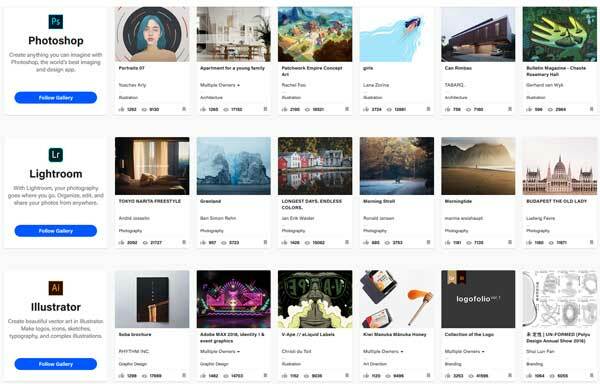 Interact with the Behance community and you can learn new things, create new connections and even get people curious about you and your work. 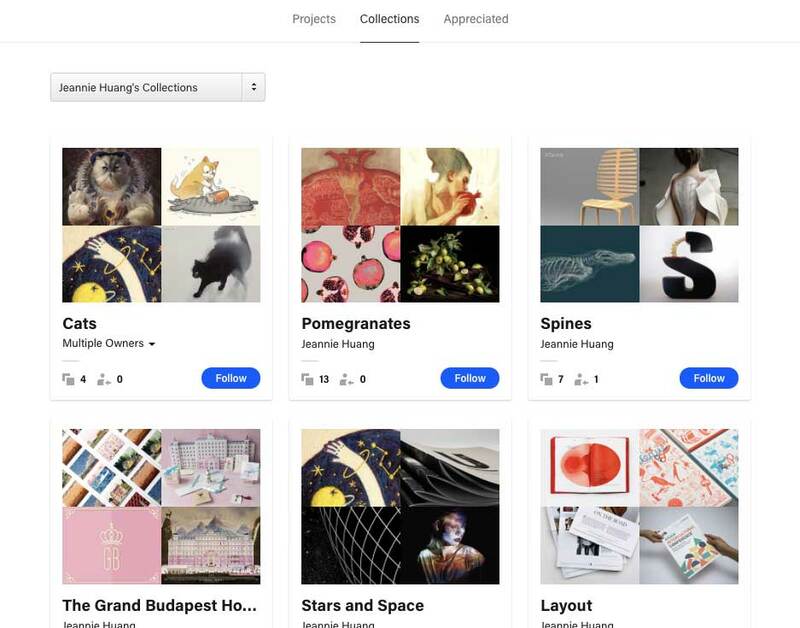 On Behance you can use collections to save the projects that you like on the platform, (it’s similar to how boards work on Pinterest). 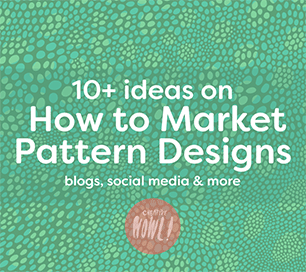 You can create collection based on anything you want, it could be a collection of illustrations, patterns, work that are a certain colour, a collection of portraitist, the collections can be as broad or narrow as you like and it’s a great way to stay organized with all the work you love. 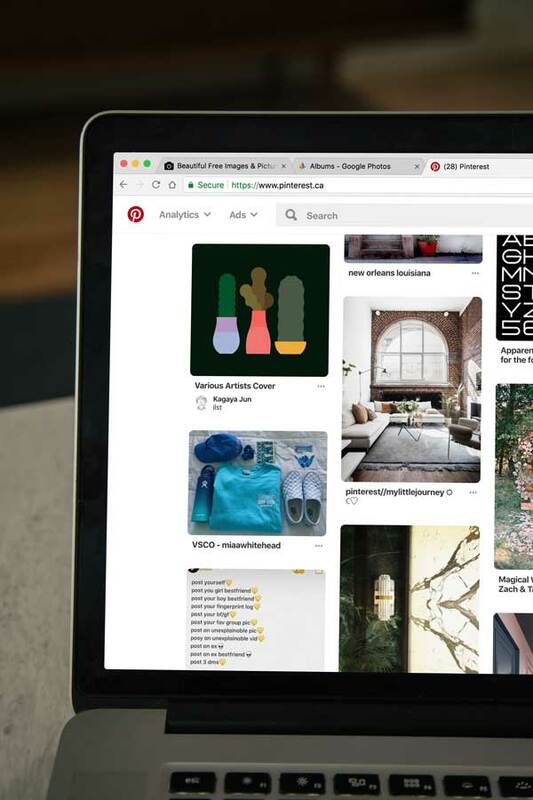 Collections are public so anyone can start following your collections if they enjoy what you curated. You can add your own work to collections and use it to get more exposure for your work, I would strongly advice against over doing it though, and only add your own work when it actually fit into a theme of a collection, nobody wants to follow a collection that’s only featuring one artist’s/designer’s work, that defeats the purpose of a collection and people could just follow your Behance page instead, keep a good mixture of work in order to create a interesting collection. Having more followers as a curator will also indirectly bring in more attention to your own page. People tend to get curios about the person behind the collections because if they enjoyed your collections you might have similar taste when it comes to your own work. Growing your Behance page with collections is a slow process so I would only recommend doing it if you find it useful in other ways too, it’s a great way to get inspiration for example. 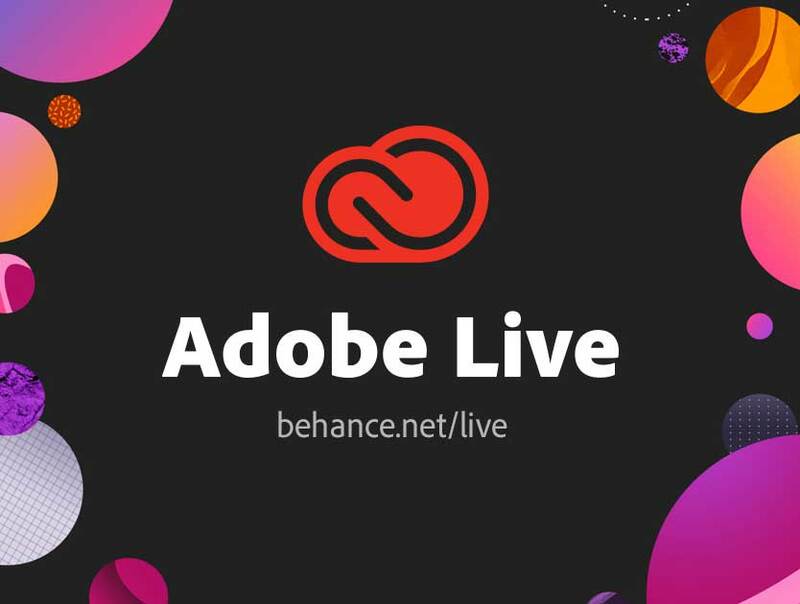 There’s plenty of opportunities to get your portfolio and profile on Behance reviewed and featured by professional artists & designers during the Adobe live streams. If you’re one of the lucky few you’ll most importantly get useful critics about your work but it also brings a spotlight on your work from people watching the Adobe Live streams and that’s usually a great crowd of people. Sometimes the streams will have challenges that you can take part in during the stream, for example if the stream is about how to make character designs in Illustrator the challenge might be to make something on that topic, you then submit your work on the Adobe Live page for a chance to get it featured and critiqued by the artists hosting the Adobe Live show. Keep an eye out for the next stream on the Behance homepage, they’re usually show quite entertaining and educational content, well worth a watch. 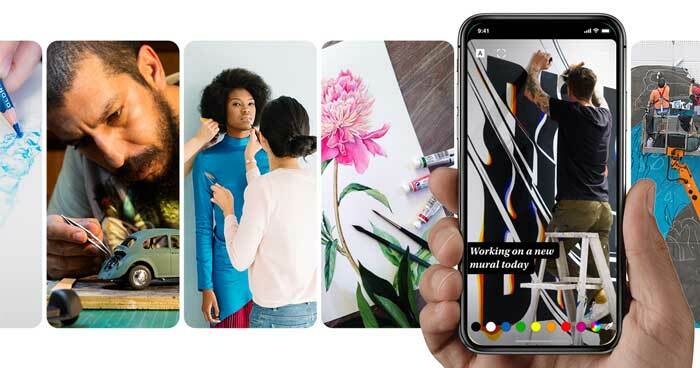 Behance have a feature on their homepage that let’s you to post images or short video clips of your work in progress, it’s basically Behance version of Instagram stories or Snapchat, posts that’s visible for anyone during a 24-hour period that then disappears. 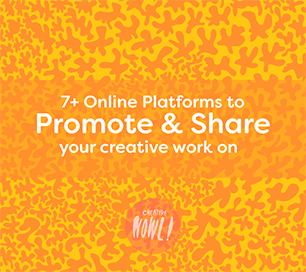 These are great if you just want to show off what you’re working on at the moment, it’s quick, fun and a easy way to promote your work on Behance. When making a new post make sure to tag with at least one tag, otherwise it won’t be seen by anyone but your followers. At the moment you’ll only get a limited amount of options what you can do if you post through the Behance website, if you instead use their app Behance app you’ll get a few more options (like posting videos and the option for custom tags). Teams are a way to showcase the work from organization, company and community. 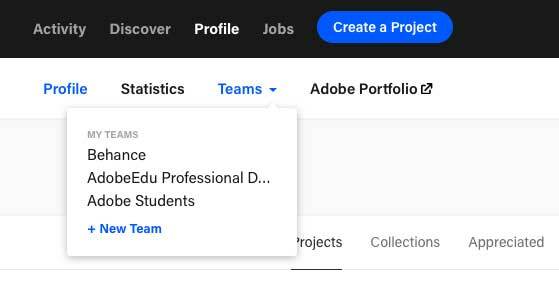 Members of a Team can add & show off their work on the Team page. A team page works similar to a Behance profile and every team has it’s own portfolio page. Joining teams on Behance can be a great way to spread your work to a new crowd, you should look for teams that would suit you and your work, apply to join the team and then start sharing your work in that team, your work will then be shown to all the followers of the team. Many teams are invite-only for design studios and companies, but there’s also plenty of community teams you can apply to. You can head over to Behance search to find all the teams on the platform. If you can’t find a team to join or you got an idea for a great team, you can create your own teams and start your own community, or you can make a team based on groups/people you worked with in the past. A good example of a community created team is the Creative Swiss team where you can find a community of 90+ members from Swiss that all works in different creative fields, it’s a great place to find a bunch of Swiss creators in one spot. If you’re using other social platforms then Behance (Instagram, Facebook or even your own portfolio) those places can be a good place to advertise that you have a active Behance page. You’ll get the best result if you create content that showcase your Behance page and show some example what visitors can expect from your page to create a interest. But the most common route for artists/designers is to simple include a Behance logo/button with a link to their page and then display it on their website. There’s always a good idea to spend some extra time on your Behance profile, a complete profile with everything filled in will look more professional and will give you a slightly better chances to get noticed and grow on Behance. Behance is pretty great when it comes to the stats they provide for each account, the stats available can gain you insight what kind of content that preforms well and get some ideas on how to grow your Behance page. On your stats page you’ll see how many views/appreciations/comments each of your project has, you’ll also get a graph that displays how your projects have preformed during different time periods. What to do with this info then? For me I could see that projects that were larger collections of work and not just a single illustration preformed much better (more likes & views). I can then take that into account next time I upload on Behance.